We are proud to introduce, from one of our new concepts for 2014, The Royal Garden collection. We wanted to create something unique & extravagant, so it gives us great pleasure to share with you our first images of this sensational collection. Royal Garden Hotel is a 5* Luxury hotel on the edge of Kensington with great surroundings. It has a capacity of 380 guests and has a spacious drinks and canapés reception. 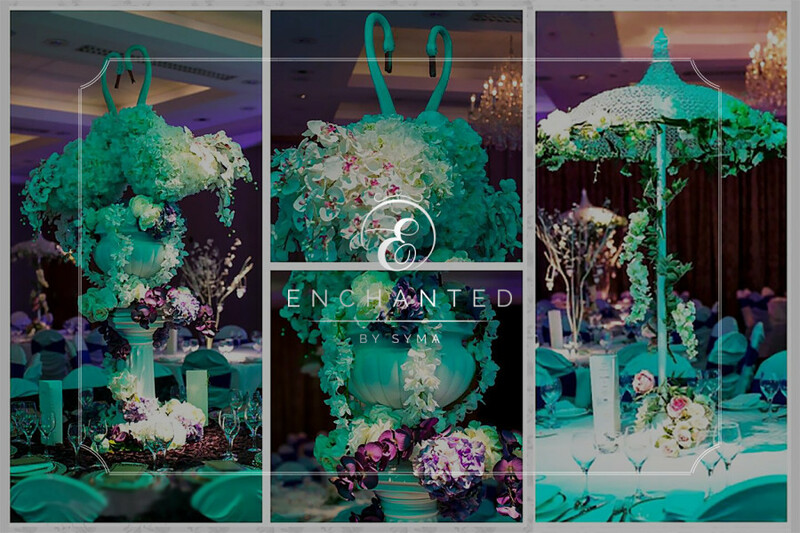 Being a family wedding, we were under pressure to create something unique and wow factor so the bride and groom literally left team Enchanted to create something unique. 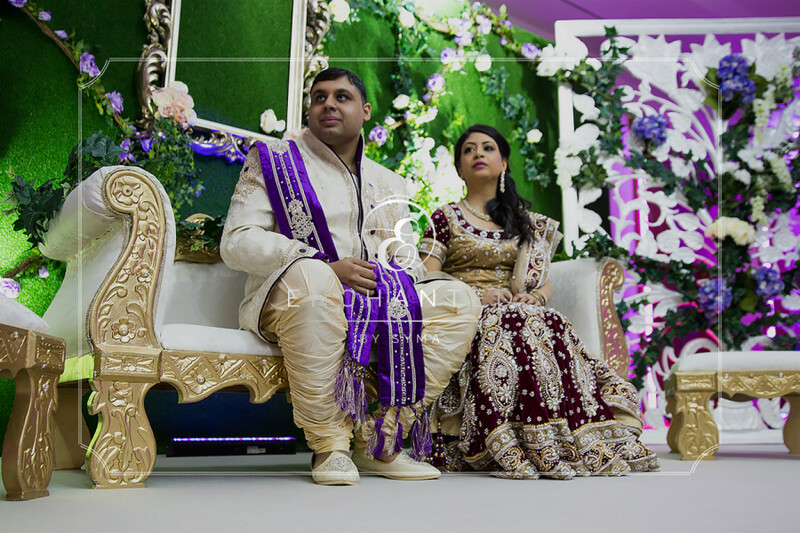 We could not think of anything better than amazing Swans which symbolises love. 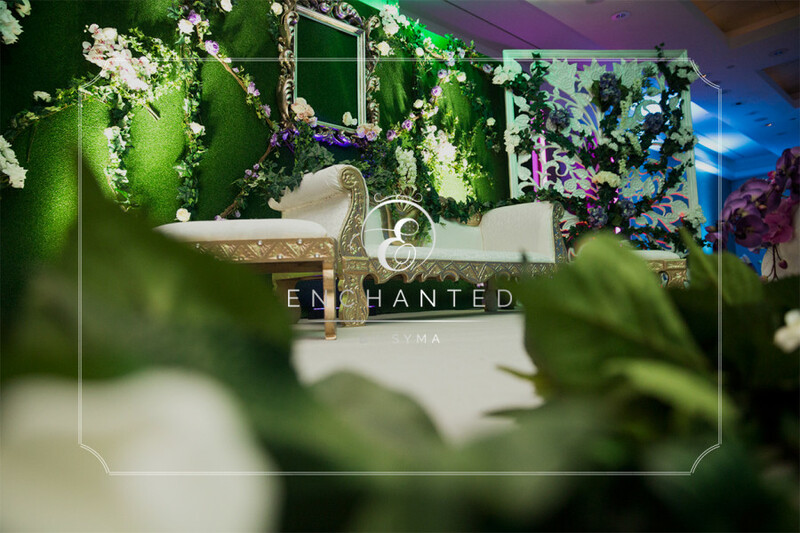 The guests entered a secret garden, which had amazing tall swans on urns & plinths covered with floral work, other tables had hugh statement pieces such as umbrellas & trees with lanterns. 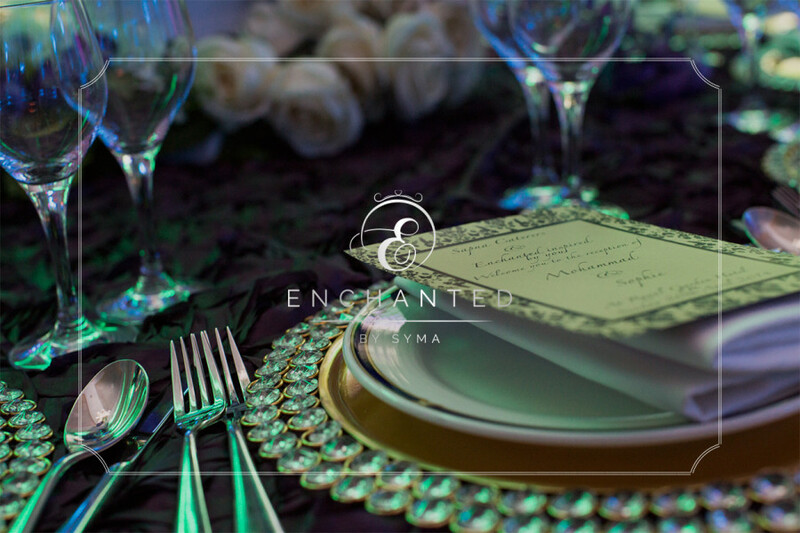 We used luxury rose plum table linen and accessorised further with stunning gold crystal charger plates. The night was exceptional with mouth-watering food provided by Sapna Caters, a masterpiece dessert buffet which was provided by Deelicious Nazish Kitchen which was finished in no time & an amazing DJ setup by none other than, Showcase Entertainment. 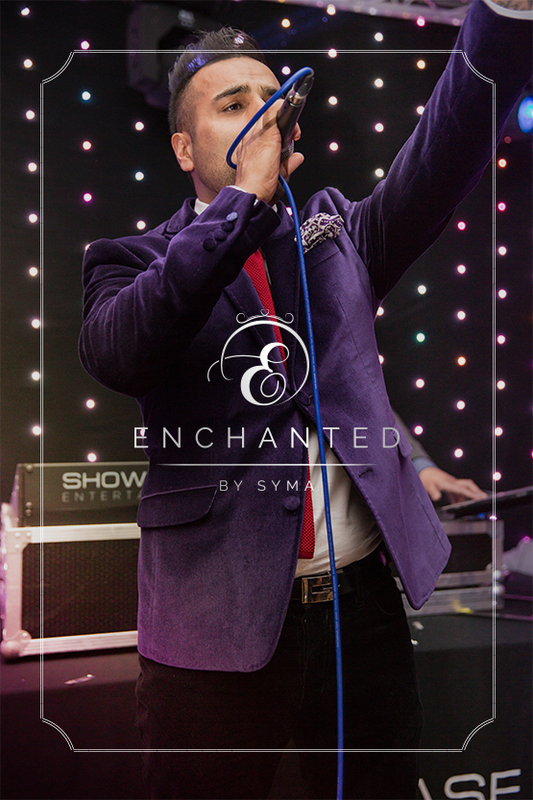 The night did not end there, as the guests including the bride & groom were ecstatic when a surprise act, H-dhami sprung in & performed several of his hit singles one of them being “Sadke.” Another fairy tale wedding by team Enchanted, a job well done, wishing our bride & groom all the best for the future.